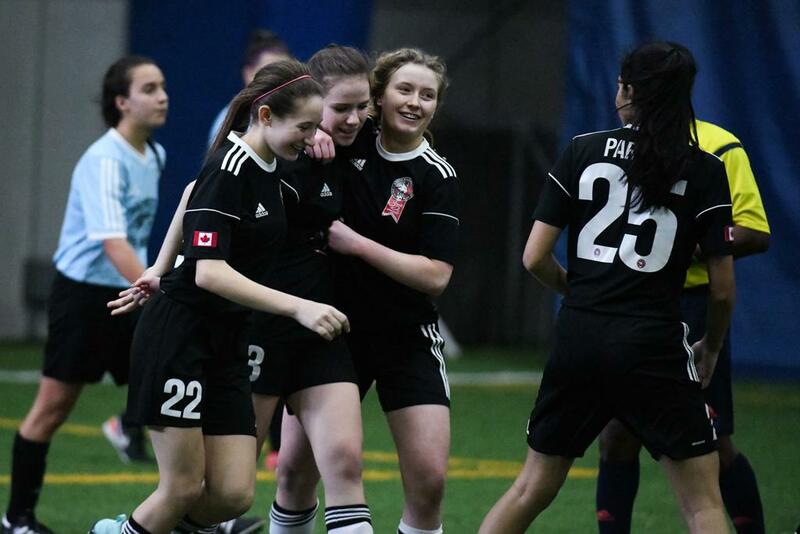 The U-16 Girls Ontario Indoor Cup final featured the North Mississauga Panthers taking on the Guelph Gryphons on Sunday. North Mississauga would open the scoring early on. Alicia’s Sutcliffe’s shot was initially saved but it would fall to the foot of Puneet Parhar who made no mistake in making it 1-0. North Miss would add one more before the half when Sutcliffe was sent in alone and slotted her shot into the corner to make it 2-0. Guelph’s keeper Taylor-Anne Desbiens would be called on to make a number of saves over the course of the first half to keep her team in it. Without her play there could have easily been three or four goals against them in the first half. North Miss would add to their lead after the restart when Maya-Joy Thompson hit a half volley from well outside the box that found the back of the net making it 3-0. Kiana Kheddo would make it 4-0 when she pounced on a loose ball in the box and converted her chance in close. Thompson got her second goal of the game when she chested a cross into the net off a cross making it 5-0. 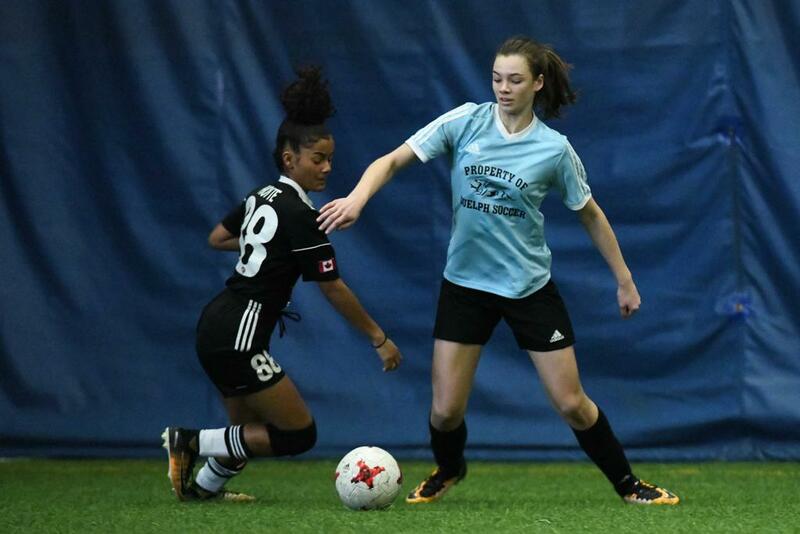 North Mississauga’s keeper Sara Traynor was up to the task on the day and all throughout the tournament. 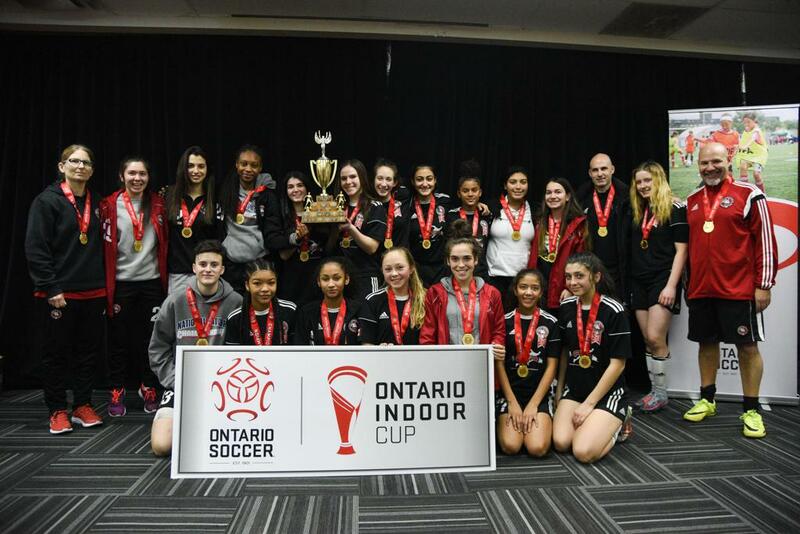 North Miss didn’t allow a single goal against on their way to winning the U-16 Girls Ontario Indoor Cup.